One day the baker was angry because the cats could smell something. The cats walked towards the door they said to the baker, “Mieow mieow.” The baker said, “Go away ,go away” but the cats didn’t go away because the cats could smell the food. The food was pizzas. They wanted one to share with each other. 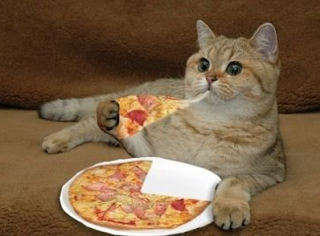 So the baker gave the cats one pizza each. They were so lucky!